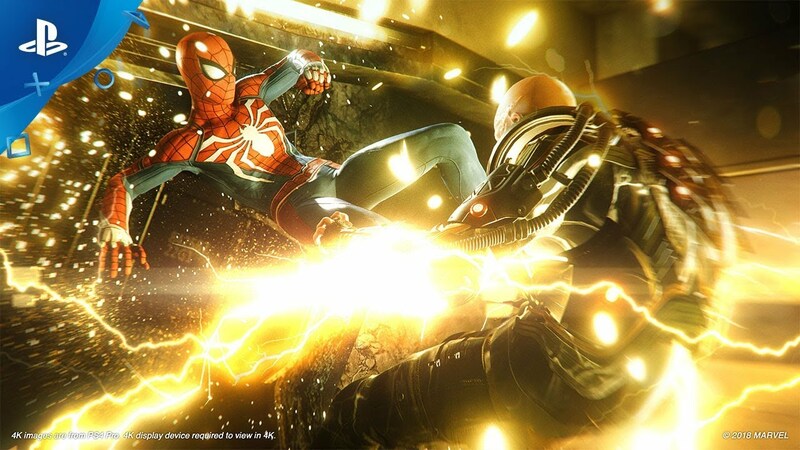 Straight from Sony’s PlayStation Showcase at E3, Sony and Insomniac Games have released an extended gamely trailer for Marvel’s Spider-Man, the PlayStation 4 exclusive that’s now in development. Check it out in the player below! An experienced Spider-Man with several years of crime fighting under his belt, Peter Parker has sheer mastery of his powerful spider-sense, dynamic skills, acrobatic abilities and new suit. This is an all-new Spider-Man universe, featuring familiar characters in unfamiliar roles. Take control of a complex dual life, as a young adult with great powers… and evolving relationships. Swing freely through Marvel’s New York City in epic action set-pieces filled with a rich narrative and relatable characters. Marvel’s Spider-Man will arrive exclusively on PlayStation 4 on September 7.